When we think oil and water, we don’t see the two together. They’re incompatible, they won’t mix together and they naturally tend to separate. While they may be opposites in nature, your skin attracts them both. Oil and water are the basis for moisturizing and hydrating the skin. The two terms are often confused, but they in fact don’t mean the same thing, and can’t be achieved the same way. We’re here to draw the lines between oil and water – to prove that the two can exist in harmony. Water hydrates the skin but doesn’t moisturize it – which is probably why the word hydration generally brings thoughts of water to mind. Our skin is made of about 70% water, and unfortunately it doesn’t produce water moisture on its own, it receives it from what we put into our bodies. Water is a tricky thing for your skin to keep hold of, as throughout the day it is much more likely to leave your skin than to enter it. As we age it’s even tougher for our skin to hold on to water moisture. We stay hydrated by drinking enough water and keeping a proper diet, but our skincare also plays a big role. Incorporating water-based products into your skin routine is often overlooked, but it’s the best way to ensure proper skin hydration. One of the most important products to increase skin hydration is a water-based serum using hyaluronic acid. Hyaluronic acid is a powerful, replenishing moisturizer that is known to plump and firm the skin to alleviate fine lines and wrinkles with its intense hydration. Our NMF Hyaluronic Serum uses a fast acting water gel formulation to work as a humectant, or water-reservoir, and retain the skin’s moisture – protecting it from dehydration. Toners can do an excellent job at providing extra hydration to the skin. While toners that contain alcohol, may be seen as drying astringents, many toners do quite the opposite. Our Hydrating Mist serves as a toner and makeup setting spray for dewy skin. This is done with none other than water-based ingredients including aloe vera and rose water. It can be used throughout the day for that boost of hydration and as a quick refresher. Keeping the skin hydrated is a top priority to ensure that it doesn’t go out of balance. When the skin lacks water, it’s dehydrated and becomes dull, and it makes up for dehydration by creating oil. While oil is good for the skin, we tend to become scared by an increase in oil production, and fight back by overdoing it with certain skin treatments that lead our skin back to its dry state. It’s a never-ending cycle that can’t be clearly understood until we understand the importance of both oil and water. Using oil in skincare dates back to ancient beauty rituals, considered luxurious and natural indulgences in many cultures – and for good reason. Natural oils strengthen and maintain the skin’s protective lipid barrier, protecting the inner layers of skin from external factors including environmental hazards like pollution and UV rays, so it’s not only about SPF. Oils also help to soothe sensitive skin, and most importantly seal in moisture. Just as water hydrates the skin but doesn’t moisturize it, oils moisturize the skin but cannot hydrate it. Unfortunately, at some point oils began to lose their high status and developed a reputation of clogging pores and worsening acne. This couldn’t be further from the truth. In fact, stripping the skin of much needed oils can actually make it oilier and more sensitive, leading to those pesky breakouts we want to avoid. Our skin naturally produces oil, and it needs moisture from oil to function properly and maintain its strength and elasticity. A lack of oil leads to dry skin. Of course, some skin types are naturally more dry than others, but as we age the skin produces less oil, just as it becomes less able to maintain water. Because oils help to prevent water loss and work to plump the skin, they help mature skin appear younger. Other factors including weather, harsh cleansing or over-exfoliation also lead to decreased oil production. Over time, a lack of oil can weaken the skin’s natural barrier, which protects from water loss. Fortunately, facial oils and oil-based products have risen in the beauty scene. Oils attract water and provide a gentle way of hydrating and cleansing by breaking up dirt, which is why using only water to remove makeup and cleanse skin generally won’t quite do the trick. A cream cleanser like our Hydrating Cleanser uses a wealth of essential oils to dissolve grime and impurities while nourishing and softening the skin. Facial oils are also extremely important to incorporate as a step in your routine – not only do they nourish the skin but they also work to ensure that your moisturizer is more effective by locking in moisture. Our Vitality Nourishing Facial Oil uses a blend of 10 essential dry oils, including argan and marula, for intense hydration without a greasy feel. Because facial oils are making waves, many people have started using them to replace their regular moisturizers, a new step in their beauty routine. A few drops of oil will hold water on the skin and seal in essential fatty acids to strengthen your skin’s protective, hydrating layer and stay ahead of dehydration. But, oils are most effective when they’re used as part of a daily regimen with water-based products, rather than instead of. Oil and water in skincare are like yin and yang, while they may never touch, they need each other to maintain balance. If either one is excluded from your skincare routine, your skin may eventually become dull and can suffer from premature aging. It’s important to incorporate both hydration and lipid barrier protection. For even deeper hydration, a weekly hydrating mask will give you the extra boost you seek. A soft hydrating mask that provides anti-aging benefits will keep the skin plump and firm. 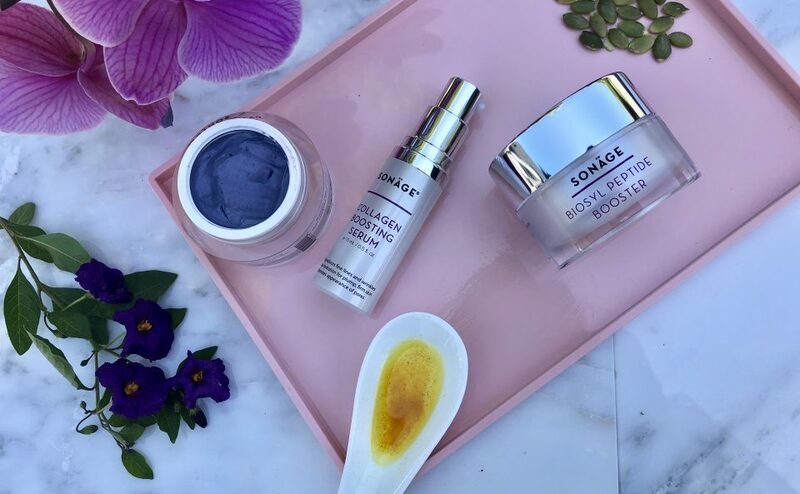 Our Patagonia Berry Stem Cell Mask is intensely hydrating, using squalane, a naturally occurring oil in the skin, to moisturize and enhance the skin’s natural barrier protection. Those with oily skin may want to avoid using oil-based products to avoid looking shiny or greasy, but oil actually helps the skin to maintain hydration as it holds water on the skin. Although a facial oil provides moisturizing benefits to the inner layers of the skin, a traditional moisturizer is still the best option to achieve hydration. This is especially important because oils don’t quite reach the cellular level of the skin like water does. To gain the maximum benefit, it’s best to apply facial oil after washing and toning the skin, right before moisturizer. A moisturizer with water-based ingredients like hyaluronic acid will allow oil and water to work in harmony. Our Biosyl Peptide Booster provides epidermal regeneration with hyaluronic acid, in harmony with natural oils including olive fruit oil and sweet almond oil. This powerful cream assists skin hydration and can be paired with a facial oil to fully lock in moisture. Using a combination of oil and water is best for those with normal and dry skin, incorporating oil at least once a day. But even those with oily skin can benefit from using a small amount of oil in their routine. Having glowing skin is all about achieving an oil and water balance that works for your skin type, with your needs in mind.